Light has a profound effect on the human brain and it has been shown that sunlight in particular has a positive effect on health and mood. Indoor areas that are flooded with natural light are pleasant to be in and roof windows are an ideal way to get it - JAS Timber highly recommend the Roto Roof Window System. Roto have always been pioneers in the industry, inventing Top-third Tilt & Turn window hardware and producing top-hung roof windows. Now recognised worldwide as a market leader in the field, Roto continue to evolve and develop new products and production methods with a sharp focus on environmental impact - the company have recently become involved with solar technology. 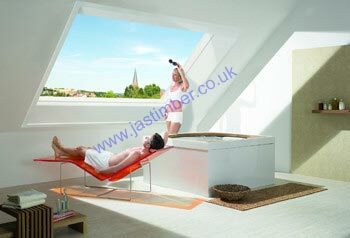 JAS Timber can quickly supply a full range of Roto rooflights fabricated from Oak, Pine or PVC. Our knowledgeable team are always available to guide you through the collection of products to locate the most suitable for your intended application. Blinds - Choose from roller, Venetian or pleated blinds; a blackout option is also available so your lie-in isn’t disturbed! 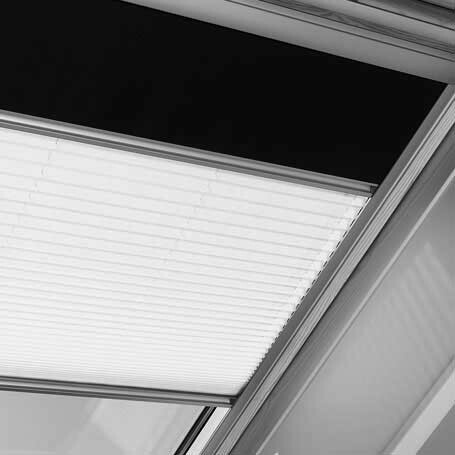 External Awnings - Let air in while keeping light out; perfect for when it’s too bright and too hot! 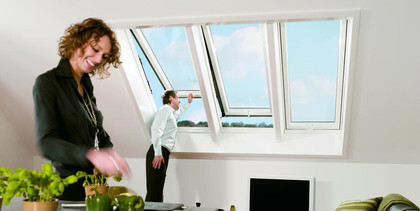 Get the complete Roto roof windows system from JAS Timber now - head over to the product page to find out more.